How they solve this car owners engine problem. "We were told our motor needed a $3,000 ring and valve overhaul. It burned a little oil - wear and tear made the valves noisy, and power wasn't like it use to be. It quieted the noisy valves, ended its exhaust smoke and smell, and no longer burns 2 quarts of oil every couple months. The motors power bounced back good as new - just as you said it would. Are those your motor's problem? Here is how to end them with new Mega Power Valve Treatment and my help. This method ends your problem and brings back it like-new performance, too! That why its like so well! Its why you will too! The Mega Power Product is complex, but the install is easy. No wrenches are needed to end valve tap, loss of power, oil burning, and rough idle. Just add as shown. Then driving does the actual fix. Mega Power Engine Valve C. For thousands of car and diesel truck owners Mega Power - shown here, has been the best $100 investment for them and for ending their car problem! "The "Engine Overhaul Kit out of a Bottle, some say." If a mechanic fixes your engine problem cost can run $2000 or more. He tears it apart, replace specious parts, sends some parts out for expensive remaching as a clean up procedure. Our Mega Power Valve Treatment Method using what I feel is the best formula ever invented for such engine remedy's cost $250 if a mechanic installs it. Under $100 if you do so. Its easy to do and results are always professional, and guaranteed as advertised! For many thousands of car owners, and diesel truck owners Mega Power - has shown itself to be the best $100 investment for them and for ending their car problem! Its what you need, also for your motor! Order Now! in a few days enjoy performance you thought you lost to wear an expensive repair. Not so this way! Order now! Just $95 for the above shown 3 items needed. Also included with our Mega Power Valve Treatment. Get our MP Engine Lower End Oiling and Piston Bearing and Shaft Protector an Oil Change Service Treatment, FREE - at no extra charge. A $75 value! However, order now, pay just $95 for all 6 items! Shown here... 6 items. Easy to install. Engine additives end Valve tap, exhaust smoke, old burning. The brand we like Mega Power also cleans, frees an friction modify's. Offering longer life and like-new power gaining benefits, also. Guaranteed to work - or we refund your money! Now, its, your turn to help your car, truck, or equipment engine get back - what's in there needing help, and Mega Power will bring it back to normanl! Cost for the 6 products, my help, easy to follow instructions, and guarantee of satisfaction is just $95 shipped to your door. Order One Mega Power $95 6 items shown. Total includes shipping usa to your door by FedEx in about 3 days. Includes easy-to-follow-directions, $50 phone help Free, guarantee. Just $95 total. Click cart button to order now! a $170 value. Engine Additives, end of review. Engine additives - what's in them? The 6 items assure a top to bottom engine service that ends oil burning, exhaust smoke, lost of compression and valve and valve lifter tapping noise, in just a few miles of driving. Order now! JThese exact same engine additive products are used by many mechanics to clean dirty fuel injectors - remove carbon, end problems like yours, and add a tune up feature to the motor by our products chemical enhancement. When installed the way we show you - they work like an overhaul - but way cheaper; like "MC" experienced with her car. The two Mega Power "Kits" shown [6 items shown], work like this. One kit covers the upper part of the motor, and one covers the bottom side. Together, they clean, free, smooth, and coat to end the problems caused by friction, wear and residues - wherever gas, air, combustion, oil, and exhaust go. 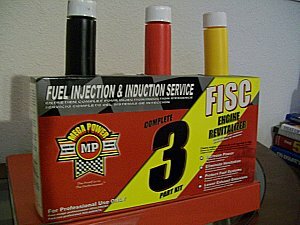 When used together, this - under $100 treatment, is the most effective service you can give an engine to help it run great again! Regardless of brand, size, or wear, as long as its not at the stage where its ready to break apart. "I've used these engine additives as a treatment in many cars and trucks to restore faded power, solve their tune up problems, and obtained many more great years of service from them. So can you - it easy! "I have hundreds of very pleased car and equipment owners enjoying the same engine additive experience. However, it won't fix what's broken, but hang on, if its seems worn out and tired, this product will return to running like when near new - amazed you, as it does many of us. It can bring back like-near-new power, zip, and performance - to older, tired, problematic engines. Now, its, your turn to help your car, truck, or equipment engine get back - what's in there, and Mega Power will bring out! $95 Total includes shipping usa to your door by FedEx in about 3 days. Click cart button to order now! Simple, easy to pour-in and drive directions included. They work with-in minutes - as you drive, so expect a big surprise - right after you install them! Order on line or Call me, and I'll get them right out to you by Fedex. Have a question I give advice - I'm a mechanic. I know what works and what does not! Call now and enjoy you car once more. Call now. I'm George Christ. Factory Distributor. 1-512 665 3388. Specify, you want the "Worn Motor Treatment." $95 total. Visa M/C. Fedex to you. A good product to use to make sure you pass the Emissions Inspection Test for a high-mileage vehicles. A good income can be had promoting this product. Ask me how. What about your ailing transmission? It needs help too? right? Order a Treatment for its health and longer life, too! "3 times we took the transmission apart to get it to shift right. Then, we tried your Mega Power method. Your products method made it shift beautifully again. They also consistently work well in all transmissions. Because of this, we now recommend your products and your methods to every customer. 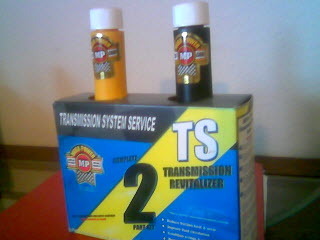 The picture below shows what this mechanic added to the transmission to restore proper shifting. Why not order these kits, now! You know you been meaning to take better care of your car. Doing so before complete failure now may help you avoid an expensive repair. To order Call 512 665 3388.